There is nothing like ripe, fresh fruit. To be able to pick a piece of fruit from the tree and eat it is one of the great experiences of life. I remember, years ago, when I lived in Oak Harbor, Ohio and experiencing the thrill of picking cherries from our trees in our back yard. I still remember climbing those trees and sitting high up on one of the branches and picking and eating fresh cherries by the hand full. I still reflect in amazement that was part of my childhood. I surely did not appreciate the experience at the time. I am not sure that I can ever remember eating cherries in my adult life that were as fresh and sweet as those I picked back in those days. Fresh fruit is the ultimate sign of life from a fruit tree. It tells you, without any doubt, this tree is alive! And because of that life we enjoy the fruit. There is one more thing I think about when my thoughts wander to this topic of fruit- fresh fruit has a sweetness to it. It’s as if one of the great evidences of fresh fruit is a sweet subtle taste that makes you want more. So what is the evidence of life for the Christian? What tells the world, as they walk by, that you are alive in Christ? The thing about this kind of fruit is that others should be drawn to it, there’s a sweetness about our lives that should make them want to be around us. The fruit of the Spirit coming out of our lives should draw others to us and ultimately to Christ. It’s the same thing that happened when Jesus was here… people loved being with Him. The fruit of his life was sweet and refreshing. So this is what I am pondering today. In clear self-evaluation, I am wondering if the fruit that I produce is pointing others to see Christ in me? I want to be recognized by the fruit of the Spirit. However, I am reminded of the times that no one could see Christ in me because I was too full of myself. There was no room for fruit to grow. Too often, I was caught up in the throes of the dogma of religion and not in living in the freedom that being alive in Christ brings. As I reflect, my challenge to you, is for you to evaluate what is the evidence of the life of Christ in you? Does the fruit of your life have the sweet taste of God’s presence or the bitter taste of self and religion? Is there evidence that you are alive in Christ? How does it taste to those around you? I’ve been thinking about the clutter of my life…the things that are around me that I bought or gathered to make life easier. It seems to have actually made my life harder! How is it possible that things accumulated over time can actually make life harder? It’s the clutter of things that most of us try to maintain, that most of us really enjoy, and yet I’m realizing that my “stuff” has become my burden as well…all the stuff I have gathered now has taken over certain areas of my life. This week, a few of us at work talked about the desire to “have things”. Not just about the desire to have things but to have that which we never use. There are so many things that I wanted and thought I needed only to realize that I have rarely used that item I coveted. With the accumulation of all those things we find life harder, more difficult. I thought about it this morning and realized I have boxes in my garage that haven’t been opened since I moved into our house 14 years ago! Why do I keep this stuff? What’s in those boxes? What stuff is hiding there for me to discover anew? All this to think about the challenge of our discussion…the challenge to “deaccumulate” our lives. I wonder how much of the stuff of my life I could actually do without? I wonder how many things I really “need”? I thought about the fact that you can tell what’s important to a person by what they do when they know they are going to die. As we close in on Easter and spend a few days reflecting on what Jesus did, I wondered, what is it that Jesus did before he entered Jerusalem during His last week? He knew that He was going to die and one key story that is told in the Gospels, right before Jesus declares to the disciples that He is heading to Jerusalem, is the story of the Rich Young Ruler. Luke 18:18 The rich ruler asks Jesus, “What must I do to inherit eternal life?” Jesus responds by telling him he must keep the commandments. The rich ruler tells Jesus he has kept them all. Then Jesus says, “One thing you still lack. Sell all that you have and distribute to the poor, and you will have treasure in heaven; and come, follow me.” Then the rich ruler became sad because he was so rich and did not want to let go of his material possessions. Jesus was making His preparations to give up everything for you and I on the cross. Jesus also wants us to give Him everything. He wants us to give Him total control of our life. If He asks you, are you willing to give up all that you have for Jesus? Jesus typically pushes us out of our comfort zone. For most us, our comfort is found in how much money we have. If it’s not money then it is related to money, like possessions or other things money can buy. Are you willing to give God your possessions? What about your title at work? What about your dream to be a famous musici an, sports star, investor, writer, etc.? Are you willing to give God a percentage of your money? Are you willing to give up your success? Are you willing to give God your retirement funds? Jesus invited 12 men to leave everything and follow Him. That same call is given to each of us today. What “should” we let go of today? What “can” we let go of? What “can” we live without? 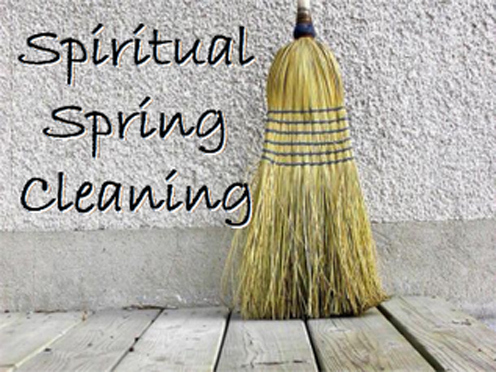 I can’t answer for you… but I know my life (both physically and spiritually) needs a thorough Spring Cleaning. I need to get rid of the “stuff” that keeps me from being what God wants me to be. 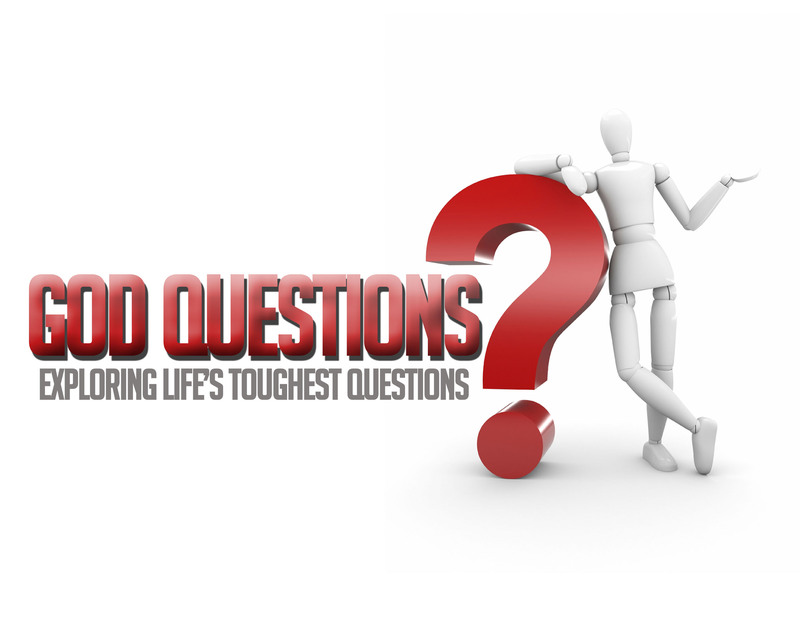 My church, Grace Community of Fremont, Ohio is starting a new series called, “God Questions”. The purpose of the series is to address the questions that a person may have about God. This week I struck up a conversation with a fellow believer about the upcoming series. He has been involved in church his whole life. The conversation spun off with the initial question: Where did evil come from? Which is… if God was the creator of all things…did He create evil? Did it start with Adam and Eve? Did it come into being when Lucifer fell? These are all good questions and it’s a bit irrelevant, whatever the answer is, because it doesn’t change Who God is, or who we are, or what we’re called to do. After some in-depth discussion with him about some of these difficult questions in life, I am amazed about the average church-goer’s lack of understanding of basic doctrinal truths. 1. Hell is real, and people apart from Christ are condemned to it. 2. God in His infinite justice punishes sin. God in His infinite love provided salvation from that punishment through Christ’s death on the cross and His resurrection. 3. God hates sin. Read any books start to finish from the Old Testament and read where God tells His people and prophets to completely wipe out whole people groups. I mean, have we forgotten the story of Noah? He just started all over. Sodom and Gomorrah? Need I go on? 4. Anyone who does not know Christ is dead in their sin and deserves hell. It’s a tough one, but if the consequences for sin are not that dire, then why did Christ have to die? As believers, we need to know what the Bible says about Who God is, what He does, and who we are in light of that. My concern is that I believe we have life-long church-goers that can’t say with confidence that they are certain about these things based on revelation from Scripture. I did not sit down at the computer to write for over 30 days. It has been a long 30 days. The truth is… I felt lost. Even when I would take each September off, I would still write, I just wouldn’t post it. The truth is…my intention was to take some time off and not write or post to this blog. I was excited because this new year was like a blank canvas. I thought about the coming year and I was thinking about what picture I wanted to paint this year with my life. The truth is… I had to take a long look at myself. What do I want to do with these days ahead? What will the year look like when I’m done with it? The truth is…I have discovered the hard way that words are easy to write and to say… it is hard to live up to those words. I do not want to deceive anyone, especially my family because they know if my words match my actions. The truth is…I won’t get to erase my words if they see me fail or not live up to the words I write. Each word is like a stroke of the brush that leaves paint on the canvas. Each decision, each word, each action is like a brush stroke full of paint….it continuly changes the painting daily and it becomes part of the finished product. The truth is…I know I’m not a gifted writer, but it’s all I have. I’m trying with each word to create something that pleases God. I’m trying to take the canvas of this year and make it a work of art. The truth is…I still feel like I am painting with old, used and ratty brushes. The ability to paint a picture with clean lines and beautiful blends of colors are hindered by my failure to take care of the brushes that God gave me all those years ago. The truth is…my painting, as I finish it this year can still be a beautiful reflection of the grace of God and of Jesus Christ seen in my life. 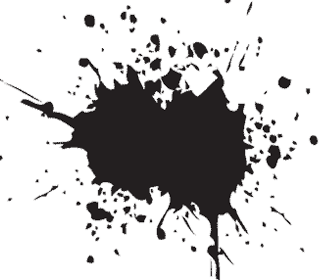 What will my canvas look like at the end of 2013? 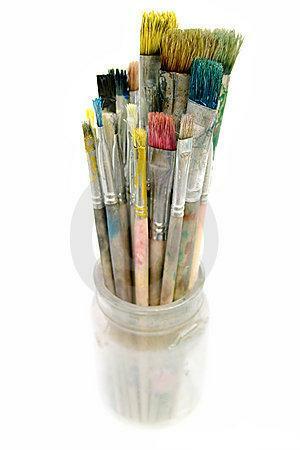 Each day I will be making brush strokes on the canvas of this year. Each word that touches my canvas and each action leaves color behind. May it be found with faithfulness to my Savior Jesus Christ and may it be a reflection of the real me as I show others that my actions back up the words I write. The truth is… I am excited to see the final picture of my journey. Come along with me, paint the canvas of your life with the love of Jesus Christ. You may have noticed I have been writing less as of late. Perhaps the best way to explain this is by reference to that well-known advice your mother may have given you: “if you don’t have anything good or positive to say, don’t say anything.” For a while now I’ve been at that place where I have nothing profound or even boring to say or write so I’ve been absent. The tank has been empty! The last few days I’ve been dwelling on something that I have asked the Lord to give me clear direction on what He would have me to do. Seems like since I made that request nothing has gone right. It’s always been clear to me that nothing of God will ever happen apart from Him doing it. I can want it, beg for it, try to create it, but if God isn’t behind it…it doesn’t work. I know God wants to do something in me, but at the moment I can’t see what it is. I’ve been at this place before. I don’t like the wait, but I know God will give me insight. Until then… I wait. My experience in waiting for God is most often about Him waiting for me. He’s waiting for me to get out of His way. I believe He gets tired of the way I’ve been doing things. He’s waiting for me to give up my pride and my thoughts of doubt. What seems like me waiting for Him is most often Him waiting for me. I have to admit it is an embarrassing statement to make, but it is true that God is more willing to work in my life, to speak to my spirit, to lead me, to do anything than I am willing to let Him. It takes some work to break up the hard soil of my heart before anything could grow anyway. I know there are things that the Lord wants to do in my life. I just get near-sighted and cannot see it sometimes. This battle of flesh and Spirit is such a subtle thing. The battle wages on even when I think I’m doing well. I struggle with my heart desiring to do things MY way. Even in my desire to please God I often discover that I want to please Him MY way and in that apparent desire for good the flesh is in control. Pleasing God must be HIS way, done by surrender to His work and His leading in my life. For all my efforts to be a “good Christian” I will fail completely in the quest unless I once more raise the white flag of surrender to Him and His will, plan and timing in my life. Frankly most spiritual warfare for me happens in my heart and soul. It’s a battle for Lordship. Only when Jesus wins, when He is allowed to be King, do I truly please God. That is the war of this world, isn’t it? It’s a war for who is King. Will it be me or Christ? So, on this cold evening in December I’m praying, trying to give up my fight to “get God to do something” and letting Him do as He wishes…..whatever that may look like. So if I don’t post for a while it will be because I am still waiting for clear direction and what my future holds in my service to Him. It is so easy as a Christian to embrace the Gospel, praise God for the message and promise of the Gospel and still miss the full depth of it. And I know that may seem as a huge overstatement but I know that in the different seasons and moments of my life it is true. I thank God for my salvation, I thank God for reconciling me and changing my reality from an enemy of Christ to a friend of God. I truly am grateful for that, but at times my flesh and my faith can be so weak, that I can quickly revert to living this life with my focus on my own desires and plans without much consideration for the price He paid for my sins. I can quickly put my desires and plans in the center of my world instead of His will and desires for my life. I must focus on the fact that Christ died not to make much of me, but to make much of Him and of the Father. I want to make sure that I do not ask for anything from Him. I want to simply say thank you for all that He has given me. I must stay focused on the fact that Christ died so that my old life would be crucified thru Him and my new life hidden in Him as well. I must set at the forefront of my mind that Christ died so that I in turn would live for Him. Living for myself is what was leading me to a road of destruction, living for myself is what caused me to feel empty, living for myself is what open the door for failure, living for myself is what tainted every thing in my life, and yet while I was consumed with that type of living, God demonstrated His love towards me by sending His Son to die on the cross for my sin and for my life. There is no joy or freedom in living for myself. Truth and peace is found in being hid in Christ and living for Him and Him alone. I am praying that God would lead me to not to distort the Gospel, but actually walk in the fullness of it. I pray that His Spirit will continue to illuminate my heart and mind and convict my heart of the times when I put myself in the center of God’s universe instead of His glory. The Gospel is the good news and it’s purpose is not to promote me, but to promote God and His righteousness. So this Thanksgiving and Christmas Season I am challenged to live for Christ in a manner that would bring honor to the Christ that lives in me. I am indeed thankful for the price He paid on the cross for me and for my sin. I am challenged to make sure that everyone I know or come in contact with will see Christ living in me. I am not here on earth to promote myself but to promote the One that died for me. I am challenged when I see other believer’s live their life so flippantly as it pertains to being an example of Christ to others. I am challenged when I see so many people who do not know Christ and live their life with no concern or regard to others. What about you? Where do you stand at this point in your life? What are you living for right now? Are you living for yourself? Do you know Christ as your personal Savior? If so…How are you representing Christ and your salvation? 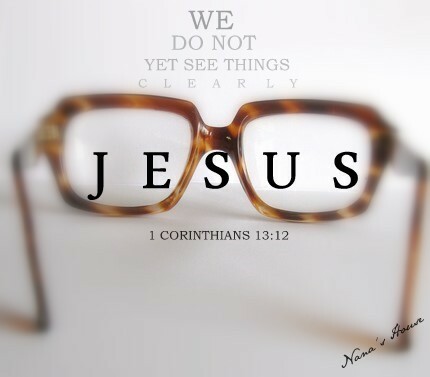 Can others see Christ in you? What would your children say about your walk with Christ? What would your spouse say about it? More importantly… What would God say about your relationship with Him if you stood face-to-face before Him? You may not want to answer these questions too quickly. Before you give the typical quick answer, it maybe good just to take a moment to ask God to show you in a real way the honest answers for you to give. If you do not know Jesus Christ as your personal Savior, I have a link in the header of this blog that clearly gives the Plan of Salvation. If you would like to talk to me directly about any of these issues please feel free to write me at “thelegacybuilder@aol.com”. I would love to discuss your questions with you. This holiday season could be the best you have ever experienced if you truly do an evaluation of your life and make things right with Jesus Christ. My prayers for you as you honestly seek God for the answer to these questions for your life. A friend posted this verse on another site this morning. It’s always encouraging to be reminded of truth that touches your life in a moment, truth that resonates with your very soul. This is one of those verses. “Don’t be afraid…” Why not? And here is God’s reason not to fear, “for I am with you.” You are not alone. God himself walks with you to comfort you, protect you, to be with you. That is the most important thing you will read all day- if you are God’s child “He is with you“, you are not alone, it’s not all on you to win the day, beat away the dragons, defeat the enemy. God is with you. Dwell on these four words for a moment… “I Am With You” How would your day change if you lived like that were true? “Don’t be discouraged…” Why not? Once more, here is God’s reason for this admonition, “for I am your God.” I don’t know about you, but discouragement is one of my plagues. I fight it off frequently. I don’t think I’ve ever spent a moment to let this truth sink into me that the reason I shouldn’t let discouragement win the day is because God is MY God. The only God who exists is MY God and the result? I don’t have to be discouraged. What more could we ask of our loving Father? One of the aspects of growing older is the fact that my once “perfect vision” isn’t so much perfect anymore. Seems like there isn’t much I can do without wearing glasses to clear up the blur that I see. It seems like it happened overnight but I know the truth… I have been in denial for some time now. At first, I struggled to focus on signs when I was driving at night and then it progressed to squinting when watching TV from the couch. I put it off for as long as I could but I finally had to accept and embrace the fact that I could no longer function without my glasses. When people see me at work and I have my glasses on they are surprised. I don’t wear or need my glasses at work. I have no problem seeing up close and as I sit in my office and work on the computer all day I have no issues with being able to see. Move something away from me for more than a few feet and it starts to blur and I struggle to see it clearly. It is a common problem for many people… obviously it is called being “near-sighted”. Things up close are clear and in focus but anything far away is blurry and out of focus. When I think about this I am reminded that in many ways I have been near-sighted for much of my life… but it did not involve my need for glasses. For a portion of my life I was only able to focus on “here” and “now”. Any decisions I made and desires I wanted were a result of my near-sighted focus on my own life. I had very little concern for the big picture and even less about how God fit into the plan for my life. I have come to the conclusion that we are all near-sighted. We all live with a bl urred vision. 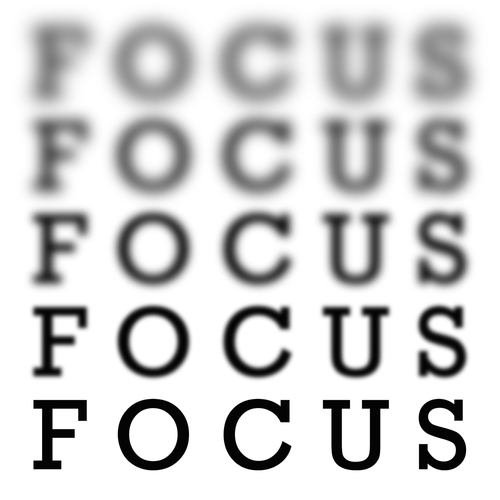 A blurred vision of what we need to focus on… a blurred vision of those who are lost and do not have a relationship Jesus Christ. In a spiritual sense we all need glasses to see these things clearly. These “spiritual glasses” are evident when our vision is filtered through the truth and wisdom of God’s Word. This is the correction we need for our near-sighted, self-centered vision. God’s Word is meant to give us a clearer vision about the things of life, reality, relationships and the future. God’s Word is the only answer for the hard questions of life that face us. Only His Word can balance out our vision and stop the near-sighted focus we struggle with in our life. I think we all have a desire to see clearly why God allowed this or that to happen. Why did God take a loved one so young? 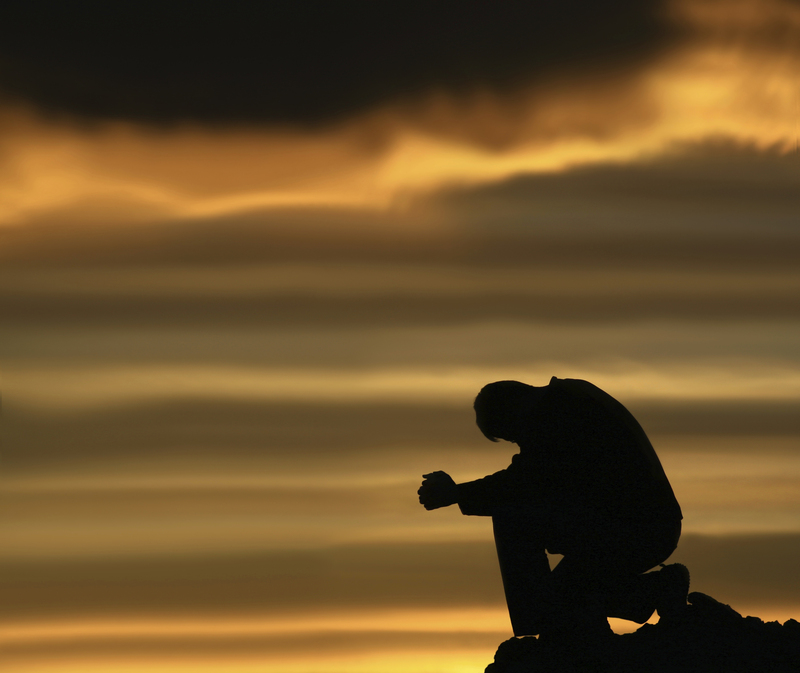 Why did God allow you to go through a painful divorce or serious health issue? We want answers to those things we can’t see clearly or understand. The sad truth is that some of these vision problems and some of the answers will not be resolved until at last when we see the Lord face to face. We will not know the reasons for some of our questions until we reach the gates of Heaven. In the meantime, we have to use these “spiritual glasses”. We have to have help to see the big picture a little clearer. We may not see the whole picture but it allows us to see the path that God wants for us to follow and in the end, He will answer all questions and will make everything right. These words are paraphrased from Paul’s pen in 1 Corinthians 13. He’s writing to describe our vision problem. The things of God and the truths about our world can be fuzzy at best. Paul could understand that we all see poorly wh en it comes to the things of God. 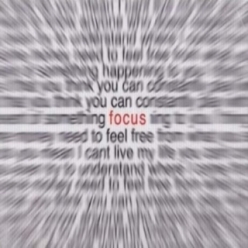 The reality of what is going on around us is sometime so blurry that we fall into the trap of having our focus be near-sighted. The sad truth is that many continue to deny they need any help with seeing God’s plan for their life. They go through life in denial of needing a relationship with Jesus Christ. They would rather go through this life bumping and running into the obstacles of life. Instead of trusting a loving God, they choose to blame Him for the trials and difficult times in this life. God makes it very clear that life on this earth will be hard. He never promises us an easy time. What He does do is promise us that He is walking with us and in times of extreme trial He carries us. What’s sad to me is that so many Christians live their life struggling with near-sightedness. That does not need to happen. Jesus once healed a man of blindness who said, “I see men, but they look like trees.” Jesus once more touched him until he could see clearly. He now could see what God wanted him to see. God has a vision for you. He wants you to follow and clearly see the path that He has laid out for you. Yes, it will be filled with stumbling-blocks and stepping-stones and it will be spotted with hard times along with good times. In the end, when we see Jesus face to face we will be able to see God’s plan and hopefully, a legacy of honor and footprints of faithfulness in the life we lived. At one time or another we have all felt a strange thing that happens to all of us. It’s something we were never meant to feel, an emotion, a feeling that we were never meant to know and yet we all have felt it. We have all had an overwhelming feeling of being alone. Alone. It’s a terrible feeling, a sense of abandonment, rejection, isolation. Alone is a place we all dread and avoid with noise, busy lives and activity, but alone is there. It’s the great fear of every man, every woman, the fear that we will be alone. And now that is our solution as well. The very ones who dreaded being left alone, can have that ever-present Father with us, in us, abiding, living with us every moment. Now, in Christ, one of my fearsome problems, the problem of “alone”, is solved by the ever-present Lord of heaven living in me, with me, and I will never be alone again. A few days ago I wrote a post about my desire to not be misunderstood. I didn’t share with you at the time but I was dealing with someone who had commented on my blog. He told me (and I quote) that, “My writing was a stain on the white shirt of society“. Now for the record, like most people, I am a person who likes to be liked. BUT… if you don’t like me I am okay with that as well. It is alright for someone to not “care” for me. I have a list of people I am not too fond of myself. I do not wish them any ill, I just would prefer to let them live their life and I will live mine. Anyway… my critic went on to inform me that what I wrote about was pointless and did no good. I would be better off writing about baseball and try to convince a Red Sox fan to become a Yankee fan. I was fooling myself if I thought any different. He said that no one pays attention to blogs anymore and that I should leave it to my preacher to share the gospel. He then proceeded to tell me that he was a born-again believer and that he was believer that was “reformed in his beliefs” and that he followed the tenets of Calvinism. He shared with me that it made no difference what I said because God already knew who was to be saved and who was not. Now I will not use this blog as a forum to discuss the tenets of Calvinism. For me, I have had this same discussion over 30 years ago when I was at Liberty University. It is the same conversation and it usually ends in the same place… in an argument. I will just say that when I was a freshman in college, I thought I “knew” every aspect of that argument. I would study the subject more, sit under some very talented and intelligent professors, read up and listen to everything I could get my hands on over the course of those four years of my Bible training. The end result was that as I learned more about the Greek language and gained more insight, I came to the conclusion that I “know” very little about the subject. Thirty years later and I still have not “learned” more than what I had during my education. While I will not shy away from I believe, I will just say that I believe that the whole discussion has no purpose. We are called to be witnesses. We are called and expected to share our faith to those that we come in contact with. We are to be seed planters. God harvests the field. End of story. 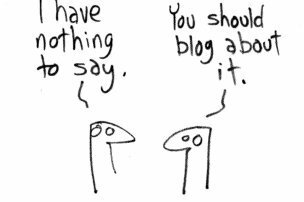 That being said… I did want to point out that while my critic may be right about my writings, he missed the whole point of my blog. I am not trying to be a writer. As I have pointed out before… I love to write, I never said I was a good writer. I am not trying to reach the masses. I write for me. I write so that I have a record of my thoughts for my children and grandchildren. If someone can gain insight and help them live for or find Christ along the way by reading what I write, then so be it. I write so much more than I ever post to this blog. Those thoughts and perspectives are meant for my family and while I do post some of it on Facebook for my friends and family to read, I do not advertise or join organizations that will promote my blog. That is just not me. The bottom line is that for years my heart was hardened towards the things of God. I was cold and distant from the things I truly believed. Writing this blog keeps me accountable to my beliefs and to my faith. It is a record and documentation of what God is doing in my life. All through the Bible there are verses about not hardening your heart towards God. I always believe He is talking to me. Being aware of my own heart and relationship with God I see it more clearly in others. 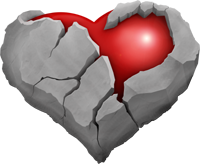 There is a hardening of the heart that must happen when we choose to sin….especially if we are Christians! The Holy Spirit will convict the Christian regarding sin and the only way we can choose the sin over obedience is to harden our hearts to God’s voice, His conviction, His wooing of us. And so we drag around this hard, cold heart that feels nothing for God or for anyone else. I now choose to keep my heart warm and open towards those things I once was cold and hardened to. Writing makes my heart soft and pliable towards the things of God. So… if I am truly the “stain on the white shirt of society” than so be it. That is…just me.